Sunday will be a snowy day across the Park, and Monday for MLK Day will have some of the lowest temperatures the Catskills have seen this winter. The big news for this holiday weekend is the potential for snow. 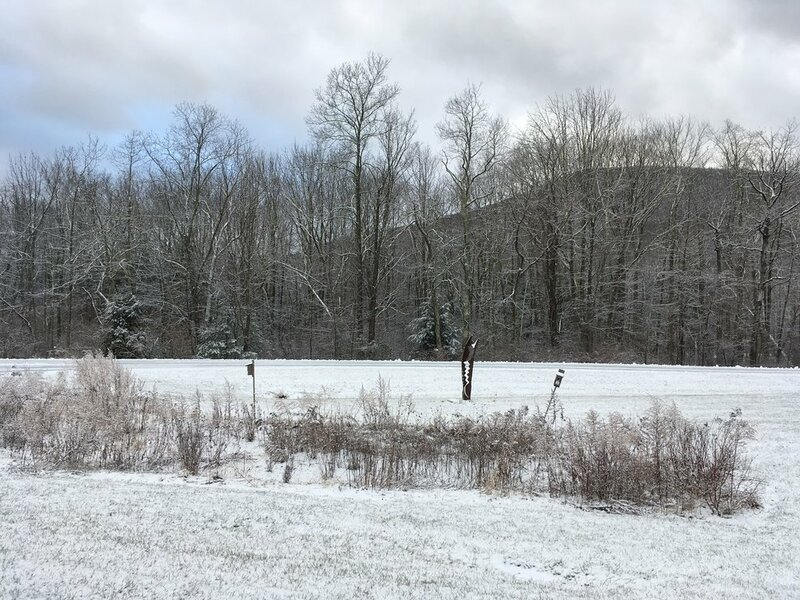 As of this writing, the Catskills are forecast for about an inch of the white stuff on Friday, and significant accumulation Saturday afternoon into Sunday. Read on for more detailed weather and trail information. Trail Conditions and Tips: With very low temperatures and significant snow accumulation, it may be a good weekend to stay indoors and keep warm. Trails and water sources will be frozen and icy and all of the trails will likely have a foot or more of snow by Sunday. Any hiking this weekend will require snowshoes and microspikes. Weekend Weather Forecast (reporting for Hunter, NY): Friday, a chance of snow before 10 am and a chance of snow showers from 10 to noon. High 32° and low of 13°. Accumulation an inch or less. Saturday, snow likely starting at 4 pm. Mostly cloudy with a high of 14°. Saturday night snow could be heavy at times, chance of precipitation 100%. Low of 13°. Sunday, snow and sleet, becoming all snow at 1 pm. High near 21° and a low of -6°. Monday for Martin Luther King Jr. Day will be mostly sunny and very cold. High of 5° with a low of -5°.